WorkPlan, by Vero Software, now offers a new version specifically designed for the carpentry, woodworking and fittings sector. Design information originating from Vero Software’s Cabinet Vision design software is automatically fed into WorkPlan. The list of panels to be cut is clearly identified, along with a list of produced parts and CNC programs generated by Cabinet Vision’s Screen-To-Machine module for each. Panel supply management is simplified by using purchase orders or the stock, with prior reservation if necessary, the company explains. Labels generated by Cabinet Vision enable the monitoring of production at each stage of the cutting process, made possible by the scanning of barcodes produced from Cabinet Vision’s Screen-To-Machine module. "The seamless integration of the two software applications will allow users to improve their productivity by optimizing project job tracking, supply management and stock control, along with production monitoring,” Christophe Mas, WorkPlan’s business manager, said in a statement. Elias Woodwork has improved the design and added new search and filter functions to its website. 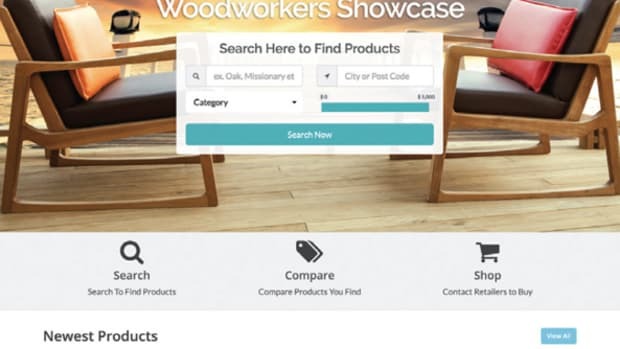 Woodworkers Showcase, our new marketing site connecting professional woodworkers with qualified buyers, is doing its job. 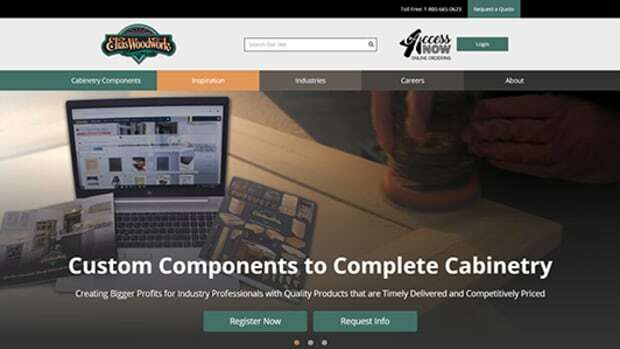 Elias Woodwork has launched a new online ordering system, Access Now, that allows customers to log in anytime from anywhere and access customized quotes, place orders, view invoices and track shipments. PPG has a new wood coatings research and development lab at its facility in Springdale, Pa.